Gift-buying for a 90-year-old woman can be tricky; she probably doesn't need any more household items or decorative pieces, but she may not be physically capable of enjoying trips or other outings. For an elderly woman, it's best to think in terms of things that will provide assistance or make everyday life easier. Mobility issues may limit what gifts a 90-year-old woman can enjoy. Find out about the recipient's interests and hobbies, and choose a magazine subscription (or two) for her. 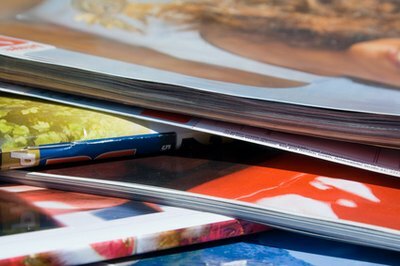 Pick a magazine that comes at least once a month, ideally every two weeks; if the recipient isn't very mobile, she'll appreciate having fresh reading material often. If the recipient enjoys cinema, a subscription to a movie delivery service, such as Netflix, may be just the ticket. Netflix has a large database of movies, including classics. If the recipient doesn't own a computer or have Internet access, consider managing the account for her; you can print a list of available titles and have her tick the ones she'd like to see. Monthly magazines provide fresh reading material. Chances are, a 90-year-old woman has lost much of her mobility and needs considerable help around the house and when running errands. To ease some of the strain, consider hiring personal services as a gift. You could pay for weekly housecleaning by a local maid service or hire a car and driver to come once a week (or month) and take the recipient to run errands (the driver can also help carry packages and lend a hand getting in and out of the car). If the recipient has a large yard, hire a local neighborhood teenager to mow the lawn regularly. Hire a local student to take care of the recipient's landscaping needs. An elderly lady on a fixed income might not enjoy many perks or extras. Make her feel special and feminine by purchasing a gift certificate from a local spa and salon; pay for her to have a new hairstyle, get a manicure or facial, and enjoy the attention of professionals. If she has a favorite restaurant, purchase a gift certificate there for an amount that is enough for a full, high-quality meal. Consider making the gift for two, so that the recipient can enjoy the experience with a friend or family member. Pamper the recipient with a spa gift certificate. Time is a precious, meaningful gift to give, particularly for an elderly woman. Giving freely of your time will mean a lot to someone who may not receive many visitors or get out much. Make a point to stop by for an hour or two per week just to chat, or take her out for a drive or a simple pleasure like ice cream. This gift will provide her with a change of scenery, feelings of self-worth and some quality human interaction. If you don't live nearby, replace the visit with a call. 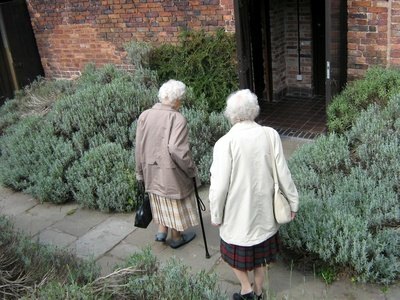 Spending time with an elderly woman costs nothing in dollars and is sure to be a cherished gift. Giving your time is a surefire way to show that you care.